And get your prom beauty timeline on point! It’s time to get ready for PROM! 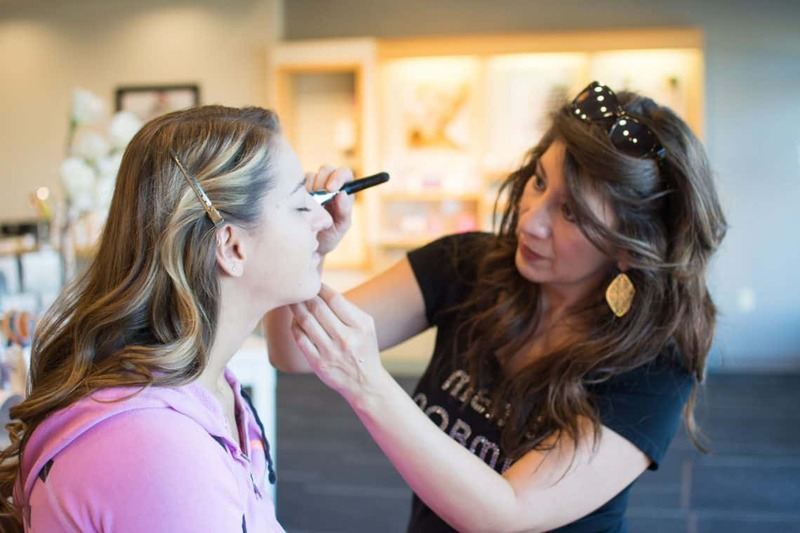 Time to find the perfect prom dress, shoes and jewelry, and plan your prom beauty schedule for the perfect look. The red carpet secret to the perfect prom look is a spray tan. Planning your prom can be overwhelming. It’s basically a mini wedding that you are getting ready for with a lot of moving parts. Having it come together seamlessly takes some serious organizing skills. 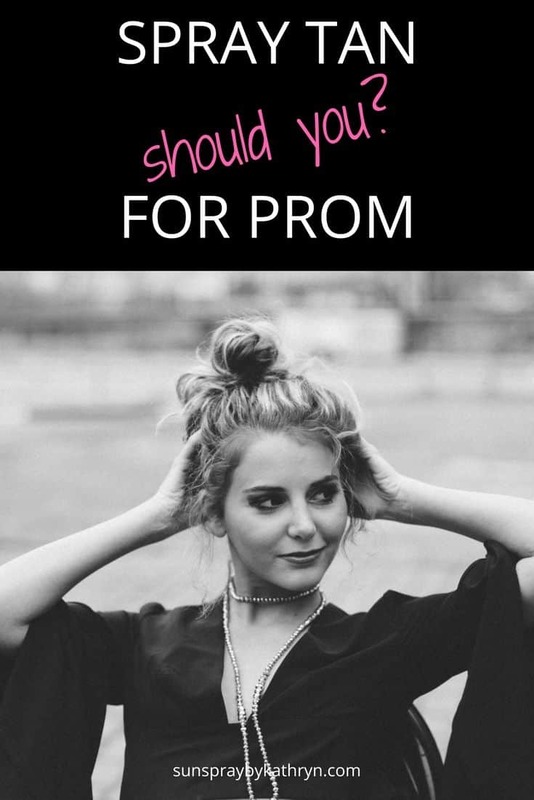 I created a prom beauty checklist to help get you started with your prom planning. PRO TIP: Spring is a really busy time of year for beauty professionals with prom, graduation and wedding season all coming together at the same time. To get your perfect appointment time booking ahead is super important. Start whitening your teeth. We LOVE the Crest white strips for this. Get your lashes and lash glue so you have time to practice putting them on. The 3D Mink Lasgoos Lashes and the Duo Brush on lash adhesive is a favorite we use at the studio. After searching prom makeup looks on Pinterest, you found some really great ideas but what you can’t figure out is how the girls in all of those pictures look so flawless and how their eyes just seem to POP and their teeth are so white. Well there is a little red carpet secret that celebrities, models and makeup artists use for special events. It’s the first step to getting glammed up. Before the hair and makeup to create the perfect even skin palette. Should You Get A Spray Tan For Prom? A professionally applied spray tan evens out your skin and brightens your complexion so when it’s time for the hair and makeup it brings it all together. We are NOT talking vacation tan here, like you just got back from Spring Break in Mexico, but a subtle glow to bring out your features and brighten you up. A spray tan is the first step to a glam makeup look and is SO worth it. Professional makeup artists love the even skin tone a spray tan gives you. It doesn’t matter if you are the fairest of the maidens or have a bit darker skin tone, a little airbrushed glow makes all the difference when your professional makeup artist starts to apply your foundation. When Is The Best Time To Get A Spray Tan Before Prom? There’s a lot of discussion about when is the perfect time to get your spray tan before prom. I like to treat your prom spray tan the same way I treat my bridal spray tans. The perfect time to get your prom spray tan is 1-3 days before the dance. Any further out from your event and your color will be fading away already. Should you get a spray tan the DAY of your prom? When you are dancing and having fun you might get a little sweaty and the bronzer is going to streak and then soak into your gown. If the gown is a light color this is going to show! What if I get sprayed with clear solution so there is no bronzer, then can I get my tan the same day as prom? DHA reacts with and stains certain fabrics. These stains are not something that can be removed because in essence the spray tan solution has “tanned” your gown. PLEASE don’t get your spray tan the same day as your prom. Getting your tan applied 1-3 days before prom lets you shower removing the bronzer AND the active ingredients of the spray tan so that nothing will be rubbing onto your gown and ruining it. 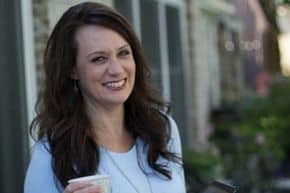 I partnered up with the girls at Merle Norman Cosmetics and with Senior Photographer Brittany Ann to bring you a complete look. We loved our styled shoot with our model Chloe so that you can see exactly what we are talking about. The beautiful glow from Chloe’s spray tan helps to even out her skin tone, bring out her eyes and makes her makeup POP! Get all your spray tan approved supplies together before your appointment so you are prepared. Please listen to your spray tan professional when it comes to spray tan advice and instructions. You will wash off the spray tan solution and won’t be tan (the only exception to this rule is if you got sprayed with a rapid tan or one hour tanning product. Your spray tan artist will tell you exactly when to shower. You will wash the spray tan solution off your hands and they will be white. If you leave the bronzer on you will be too dark and slightly off color so please hop in the shower and wash the bronzer off before starting your day. If your don’t shower before your prom and you put your pretty dress on over the spray tan solution you WILL get spray tan on your gown and ruin it. Also if it’s a light colored fabric and you get sweaty it will soak into your dress and show at the dance. Holy embarrassment! So now you know the secret to making your prom makeup and pics look amazing. If you are in the Toledo, OH area and are in need of a prom spray tan then hop on your phone and ask Siri or Cortana for spray tan near me and I will pop right up. Or head over here to learn How to get an appointment for a spray tan with Kathryn from SunSpray. If you are not in our area and are looking for an amazing spray tan artist near you then you should definitely read DECIDING TO GET YOUR FIRST SPRAY TAN for tips on choosing the best spray tan artist in your area and a quick rundown on what to expect during your spray tanning appointment.